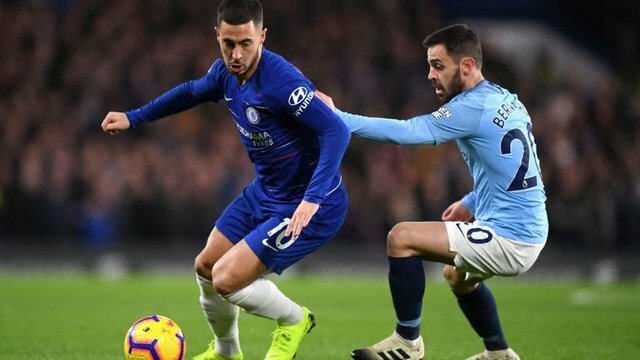 Chelsea Fc lost the carabao finals to Manchester City but there was a lot of notable picks from the match. Hazard is a world class player. Hazard dazzled in the full match as he was unstoppable and exceptional. He carried the team on his shoulder as he always made a eye catching move with his skills anytime he is with the ball. Chelsea should try all means to tie him down with a mew contract. Odoi proving his worth. Once again Callum Hodson Odoi prove he is ready to star in the blue Shirt as he made much impact with the little time he was given. He gave zinchenko much trouble and run. Chelsea needs to give him a new contract and also start him more. Sarri tried out another plan. Many chelsea fans has been screaming for Sarri to always change plans especially when he is playing against a team is tough. Sarri made some tactical change in the style of play which helped the team. Kepa disobedient. Kepa said he though the Coach wanted to substitute him because the coach felt he was injured and he was trying to prove to the coach that he was not injured. All in all was that no matter the situation he should have obeyed the coach. He has been fined by the club. This shows no matter what the coach controls the pitch. Loftus Cheek really blew chelsea fans heart. He has always been trying to prove his stand and he is gradually getting there. Chelsea Fans should be patient as the team is gradually building up and getting somethings in place. Emerson proving Alonso should be on the bench. Emerson played so well that the coach will be thinking of giving him the starting belt.